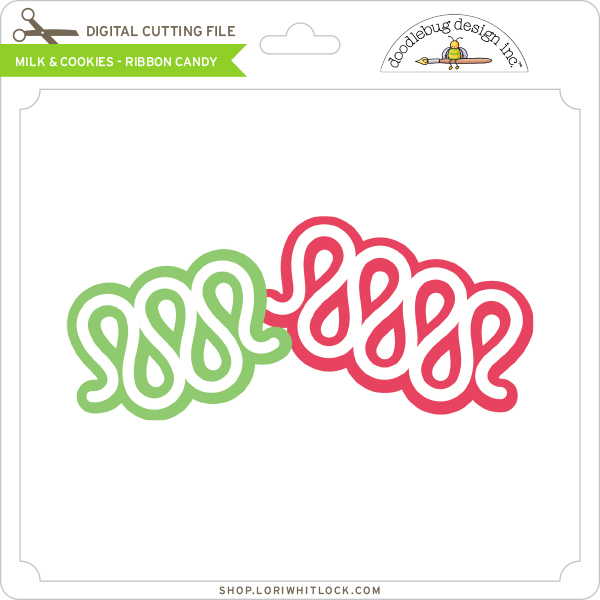 Hello my dear Doodlebug friends! How's it going? 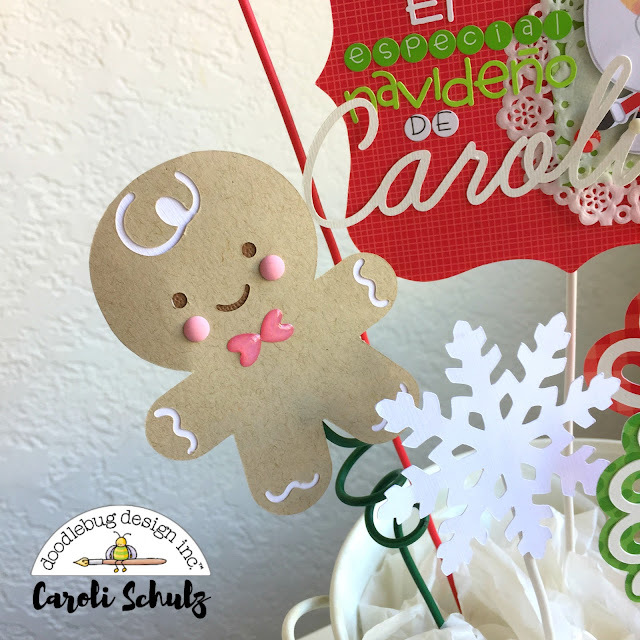 Caroli here and today I want to share this project I made for the Celebration Challenge we have here at Doodlebug Design. Some time ago I told you about the Christmas party I throw every year for my friends and our kids, it's called Caroli's Christmas Special and it's such a funny event I love (you can see the mini album I made about one of these parties using Milk & Cookies collection few weeks ago here). 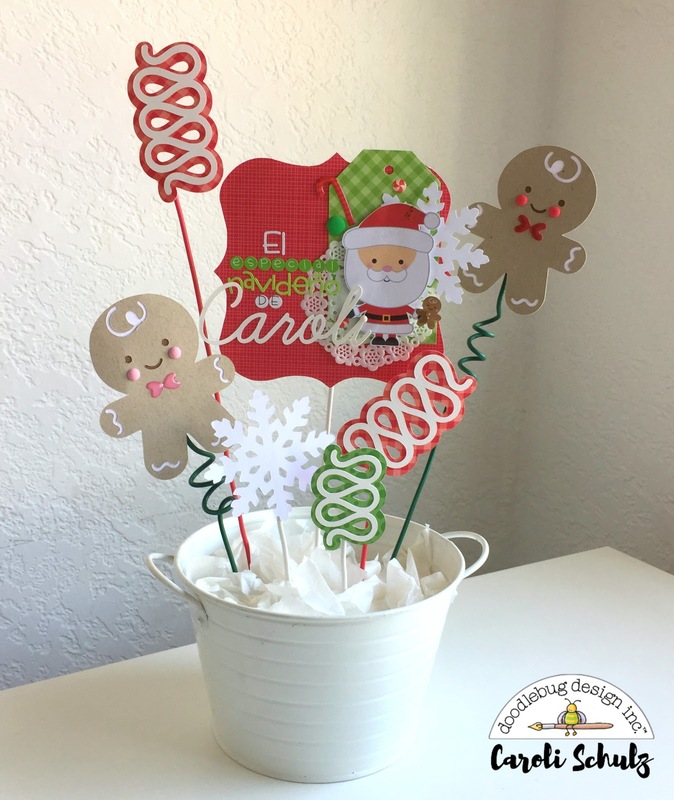 I wait the whole year for this party, I cook yummy food and I decorate the candy bar as pretty as possible, so this year I decided to make a cute center piece for adding an extra special detail to my table. 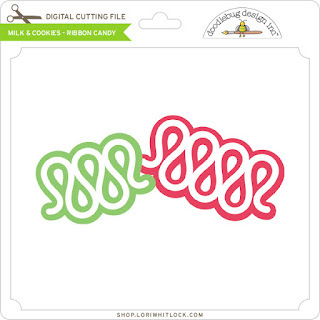 I used a white bucket as base, and filled it with different elements I made using the lovely Milk & Cookies cut files, which are already available at Silhouette Design Store and also at Lori Whitlock Store. 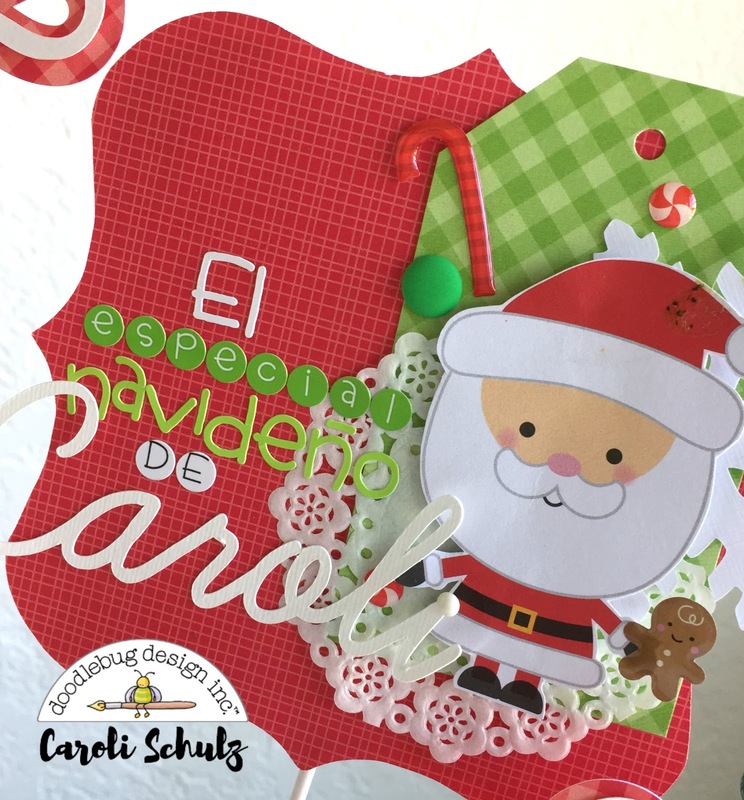 I created a sign that says "Especial Navideño de Caroli" (Carolis's Christmas Special), which is the main focus of my center piece, and placed different elements around it. I used wire to place the elements of the center piece, some of them are curled and some other are just straight, I love the funny look of this! 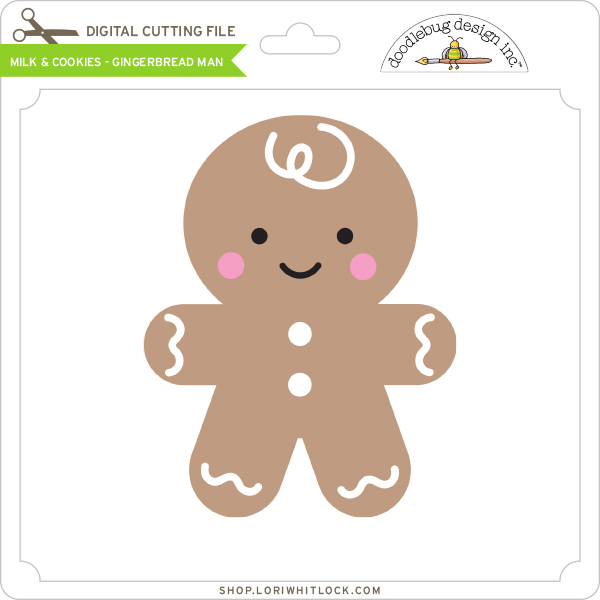 I look forward to use this cute decoration on my candy table this year, the party is just in few more weeks and I'm already working on it! I hope you git some inspiration from this, have a lovely day!